Based just north of Birmingham – in Walsall, near Wolverhampton – this family-run business is able to handle all of your plastering needs. Book a free call-back now. We cover a wide range of jobs from large to small domestic-based work such as new loft living-space and all interior ventures to create the perfect environment. We work across Walsall, Wednesbury and beyond. We pride ourselves on our professionalism and our commitment to the work. We have over 10 years of experience in the field. Whether you require just minor repairs to an existing wall or ceiling prior to decoration, or a complete plastering job for a new build or renovation, A.K. Plastering work with only the best tradesmen in the business. If you are looking for a wider home improvements such as block paving, extensions, roofing or loft conversions, click our Home Renovations link. From our plastering HQ here in Walsall we – like you – have been gearing up for Christmas. It was a fantastic summer and it is now that we often reflect on some of the work that was done over the year. We got to thinking about the variations that have been achieved with plaster- and decorative-effects. I had one plastering customer in Walsall who wanted to create an entirely classic look in the kitchen – but ensuring the design was fresh, open and modern. The cool whites accented by some dark brown and the black piano give a really striking image; a true inspiration. 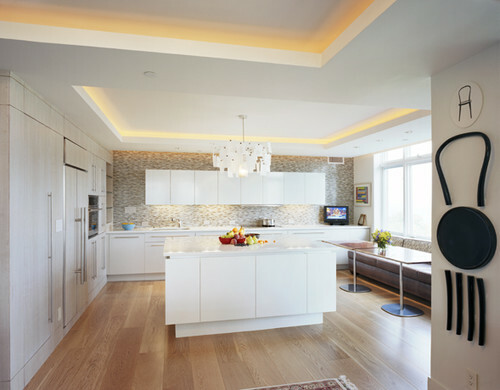 Take a look at those clean plastered corners that have been accentuated by a fresh white paint-job. Simply stunning. The owners have also de-cluttered to ensure that it has that “everything in its place” look that we all crave (but can rarely achieve). Not many of our customers in Walsall will be envisioning this sort of interior but you wouldn’t deny that it is eye-catching! 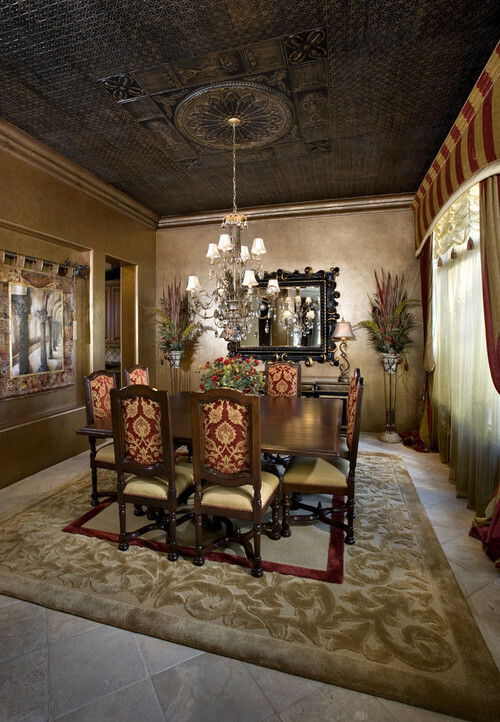 The ceiling and walls are opulent and – dare we say it – ostentatious!